Completely messed up in multisite | WordPress Dreams Ernest Marcinko 10 months, 1 week ago. Issue: the Related Posts section is not displayed under the Posts if the automatic “add” option is enabled. 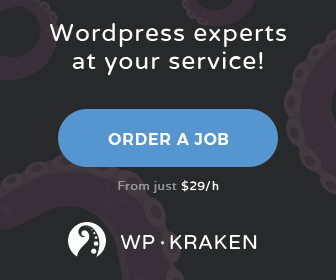 If I try to place the shortcode in my Post Template page (injected with Divi CPT injector) when I view a post, the post shows the plugin (misaligned) but wordpress displays the toolbar of another subsite, different from the one the post belongs to. I tried to change the theme and the plugin is not displayed anyway. If I disable Divi CPT Injector (that manages the whole layout logic of the website relating archives, post types and categories with different templates), posts are displayed correctly but again without the Related Posts section. I hope this was descriptive enough. Please feel free to ask for an account to access the backend of the website. I am very sorry for the late response, I missed your ticket by accident, it happens very rarely. So, I have looked at the back-end and tried a few things. The plugin needs to be network activated in order to work correctly. I tested the automatic replacement, and indeed it causes a problem as the site is not rendered correctly. I am not sure what exactly the problem is, because there are indeed no error messages. Can you please add temporary FTP access as well? I would like to debug the code directly, to see if I find anything. Thank you very much for your kind words and understanding! Hi Ernest, were you able to login? Unfortunately I was not able to. Can you rather upload the key (zipped)? I think the line break/space characters might be altered when copy/pasted, and may not work when I copy them to a file. Ok I can provide an update. Today I made a cleanup of the DB, and removed some caching dirs and it seems better now, but I still can´t control the layout that is a bit messed up. I don´t see most of the changes I make in the settings page. But I figured out what the issue with the posts was. I have posts cloned from one subsite to another, and it seems that some metadata is still linked to the original post, I didn´t get which one yet. Related Posts PRO seems to get somehow confused by these metadata that are probably duplicated, or it filters the duplicate and it opens only the original post, and this created a bit of confusion. Overall significant improvements, the CSS aspects can be probably related with the structure of Divi that is pretty peculiar. Looking forward for your analysis and feedback. Hi Ernest, one more update, I fixed it! Enabling inline CSS fixed the issue and the layout is correct now. One question, I need to weight related posts according to properties that are mostly numbers (ex number near to, such as year or whatever) is this evaluated by the relevance algorythm? Second question, it seems to me that a pretty similar result can be achieved using a fine tuning of Ajax search pro, hiding the search itself and limiting a default search to the fields I need to evaluate. Am I right? Thank you very much for the updates! It was a CSS cache related issue after all. You might be able to turn off that option after a while, when the CSS files are emptied within the cache. – It selects N number of keywords from the selected fields. A keyword qualifies if it occurs X number of times. – Then using these keywords it tries to find matches, starting from the most relevant. This is basically it, with more calculations and tricks involved of course. Numeric values, like a year or something more complicated is not considered. Sort-of, you could achieve something similar. The main difference is, that the search will only return items to a static keyword (same results for each page), and the algorithm is different – while the related posts plugin will look for keywrods within the current post first. He Ernest, I will explain my situation so you can suggest me the best solution. I have CPT with CF and I need to select similar CPT based on different CF (one search instance for CF). What could you suggest to achieve this? 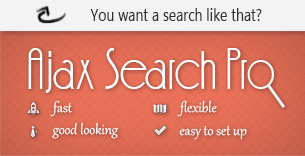 From your words it seems to me that Ajax Search pro is more suitable. Hi, sorry for doubel posting. The issue I see is that I have values that obviously change every time, and I need to place the search box in templates because I am loading hundreds or even thousands of items! So what I need is to retrieve a CF value automatically as a seach value, so everything else is run according to what is present in the post. Yes, I think the only option here is to have a custom code, unfortunately, I am sorry.